The Dystopian producer GALAXIAN releases a committed E.P entitled “The Looting of Reason” on the great label Last Known Trajectory. Written before the uk riots of summer 2011, this solid project introduces some anticipated questions about the manipulations of citizens humans by the oppressive society. The point is : everyone should make some conscious choices and to reclaim the meaning of human life. Interesting to see the reality is catching up so fast the fiction and more ‘funny’ to hear the government lying about the nonsense of riots. 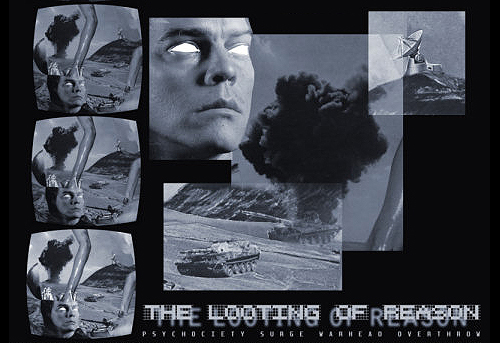 “The Looting of Reason” is a coherent EP, not easy to listen but it must be listen to the beginning to end more as cyberpunk novel than a simple electro tunes package. According to its rough theme, the production is cold & dark however in some way pretty trippy and of course very unique. 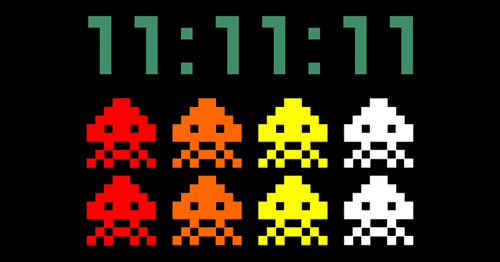 By means of this release, GALAXIAN proves once again that music is more deep when it’s about social disintegration (and not about assimilation). Recommended! After an E.P tinged with violence (“Enterin Nebula Zer0“) & an album tinged with sexual requests (“Metalloid Freaks II“), ALIENSEXTOY is back at home along with a new project more chill but as well inspired. His E.P entitled “Sub Breed Beatz” features 5 tracks fusing dub, electro & funk together. This great project sounds like a peaceful interlude as the calm before the storm (that nobody won’t escape). But which storm? 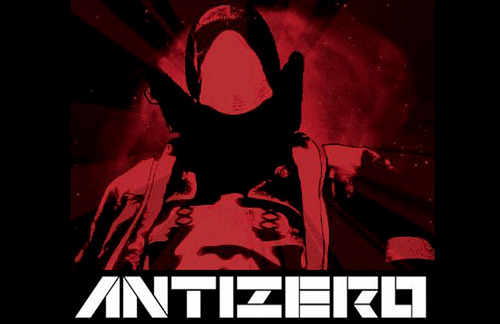 The natural storm, the authority threat or the Antizer0 aftershock? … will see, just take care of this moment, have a nice listen. Recommended! 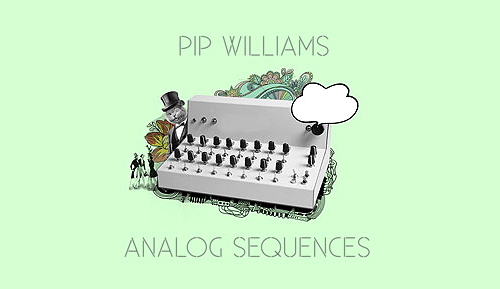 With the release of his new E.P on his own label, PIP WILLIAMS is still pushing electro music in a really modern way. The surpising projet entitled “Analog Sequences” is focused on a more specific & moody sounds than his usual. Hard to get all it power at the first listen but really lovely & interesting after some listens. Pretty sure, these pure analogic tracks will find easily an ideal position into some tasty dj sets. Recommended! YO SUCKA! The first release is by a new talented detroit based producer OKTORED. The music of his debut E.P entitled ‘Future Sounds 8 Mile‘ is hybrid mixing styles like Juke, Techno – Electro, Moombahcor & Dubsteb… that could be summed up as a Bass music expanded to a modern outlook of ‘underground’, pretty related to the future but without forgot the Funk of old days. Thanks to this release, the newest sub-label introduces an interesting up to date version of Detroit music and we can’t wait to know what will be the next imprint. For now, enjoy the OKTORED’s productions as much it deserve. Fresh to listen!